<h2>Buzz feed - bringing renewables to the power grid</h2><br /><p>Originally designed to obtain and distribute energy from a few large sources, Europe’s power grid must now cope with an emerging class of energy sources, such as solar, wind, tidal and thermal, from a number of different suppliers. Renewables can also have intermittent availability or produce surges in electricity.</p> <p>This irregularity can stress the network of distribution lines and substations which make up the grid, causing faults which may result in frequent power outages, damaged equipment and productivity loss to the economy.</p> <p>For such reasons, independent power producers may not be allowed to connect renewable energy sources until the grid is upgraded, creating a bottleneck for energy suppliers.</p> <p>‘Connections can be delayed by years or they may not happen at all,’ said Yoram Valent, the co-founder of Israeli company GridON. ‘This has a negative impact on the power capacity utility operators can offer, while delaying the potential revenue stream from desirable low-carbon renewable sources.’</p> <p>GridON makes devices called fault current limiters (FCLs), which are installed at key points on the grid to limit abnormal electric currents.</p> <p> <div class="quote-view quotesBlock quote_horizontal"> <div class="quotesTop"><img src="https://horizon-magazine.eu/sites/all/themes/horizon/images/quotes_top.png" alt="" title="" /></div> <p>'Connections can be delayed by years or they may not happen at all. '</p> <blockquote><p>Yoram Valent, GridON</p></blockquote> <div class="quotesBottom"><img src="https://horizon-magazine.eu/sites/all/themes/horizon/images/quotes_bottom.png" alt="" title="" /></div> </div> </p> <p>By reacting instantaneously to faults and current spikes, FCLs improve the resilience of the network and allow the energy capacity to be increased – which can include adding new sources from independent producers – without the very costly and time-consuming task of revamping the whole grid.</p> <p><strong>Renewable producers</strong></p> <p>Valent and his colleagues have created a FCL that has been on the market since 2013. However, it proved to be too large and expensive for renewable producers such as wind farms that feed into the distribution level of the grid.</p> <p>As part of an EU-supported project that ended last year, they combined the core technology used in their large-scale device with a power electronics system, to create a much smaller and lighter FCL suitable for renewable energy production. It is designed to be installed in the utility substations or at the power generation sites and mitigate excessive fault currents from the renewable source. Reducing the FCL’s size also helped lower its cost.</p> <p>This means that in the future, new energy sources should get approval to connect to the grid much faster. In the UK, one of the countries where the grid is outdated and needs a major upgrade, Valent and his colleagues are aware of hundreds of requests from renewable producers who want to link up.</p> <p>‘By using our FCL, we guarantee that the grid won’t be exposed to excessive faults and connection approvals may go through faster,’ said Valent. ‘It’s an enabler for connecting new sources, renewable or any, to the grid.’</p> <p>The use of superconductors – materials that conduct electricity without losing any energy – could also improve FCL technology. Conventional materials such as copper wire lose a portion of their energy as the charge passes through the metal. Superconductors don’t themselves allow energy to be lost in transmission, although operational superconductors consume energy through expensive cryogenic cooling systems.</p> <p>Super-conducting fault current limiters (SCFCLs) should be much more effective where high voltages are involved, combining low-power dissipation, high-sensitivity and a high-speed of operation.</p> <p>The biggest challenge is to make the superconductors work at higher temperatures – usually they have to be close to absolute zero to operate effectively. This means SCFCLs are too costly for widespread commercial use.</p> <p><strong>Power transmission<br /></strong></p> <p>Professor Pascal Tixador and his group from Institut Néel, one of the laboratories for French National Center for Scientific Research, and partners, are aiming to make SCFCLs more affordable and robust as part of the FASTGRID project to develop better power transmission.</p> <p>In order to bring down the cost of SCFCLs, the team is engineering better versions of the ReBCO (rare earth, barium, copper oxide) wires now used in their devices.</p> <p>They are pursuing the application of novel superconducting wires with a component of sapphire for use in SCFCLs. Recent breakthroughs have allowed thin layers to be produced from the mineral. When a superconductive coating is added, these wires have an outstanding ability to limit abnormal current and carry many times more current than their copper predecessors, properties that has been validated in the lab.</p> <p>The next step is to evaluate how they could be implemented in SCFCLs on an industrial scale and to find a way to make them cost-effective.</p> <p>The technology could be vital to plans to create a European supergrid and a single energy market. At the moment, each country has their own energy infrastructure and energy doesn’t flow freely across borders. But a new network to pool electricity that spans Europe and the surrounding region has been proposed. It should help with the adoption of renewables, where short blackouts are an issue. An area depending on energy from a wind farm, for example, could use energy produced elsewhere by solar in times of low wind.</p> <p><strong>Direct current</strong></p> <p>Developing a supergrid will require a new high voltage direct current (HVDC) grid system. Direct current is required to transport electricity over long distances instead of alternating current, which is more efficient in smaller networks. However, fault current can be more severe when direct current is used, making FCLs even more crucial. ‘FCLs can reduce the fault current that needs to be cut by a factor of 10,’ said Prof. Tixador.&nbsp;</p> <p>SCFCLs are the only viable solution to limit abnormal currents produced by high voltages, according to Prof. Tixador. The goal of the EU-funded FASTGRID research is to provide high-voltage superconducting transmission lines that can be used in the next generation transmission network. SCFCLs, together with future energy storage systems, would be an important element in assuring the safety and reliability of the network.</p> <p><em>The research in this article is funded by the EU. If you liked this article, please consider sharing it on social media.</em></p> <p><a href="http://bit.ly/newsalertsignup" target="_blank" rel="noopener noreferrer"><em><img class="" src="https://horizon-magazine.eu/sites/default/files/news-alert-final.jpg" alt="" width="983" height="222" /></em></a></p> <br /> <img src=”http://www.google-analytics.com/collect?v=1&tid=UA-40077089-1&cid=buzz-feed---bringing-renewables-to-the-power-grid&t=event&ec=republish&ea=read&el=buzz-feed---bringing-renewables-to-the-power-grid&cs=republish&cm=republish&cn=republish&cm1=1" /> This post <a href="https://horizon-magazine.eu/article/buzz-feed-bringing-renewables-power-grid.html">Buzz feed - bringing renewables to the power grid</a> was originally published on <a href="https://horizon-magazine.eu/">Horizon: the EU Research &amp; Innovation magazine | European Commission</a>. Renewable energy is on the rise in Europe as the economy develops away from the use of fossil fuels such as coal and oil, but an ageing electricity grid is struggling to keep up with the rapid pace of developments. Originally designed to obtain and distribute energy from a few large sources, Europe’s power grid must now cope with an emerging class of energy sources, such as solar, wind, tidal and thermal, from a number of different suppliers. Renewables can also have intermittent availability or produce surges in electricity. This irregularity can stress the network of distribution lines and substations which make up the grid, causing faults which may result in frequent power outages, damaged equipment and productivity loss to the economy. For such reasons, independent power producers may not be allowed to connect renewable energy sources until the grid is upgraded, creating a bottleneck for energy suppliers. GridON makes devices called fault current limiters (FCLs), which are installed at key points on the grid to limit abnormal electric currents. By reacting instantaneously to faults and current spikes, FCLs improve the resilience of the network and allow the energy capacity to be increased – which can include adding new sources from independent producers – without the very costly and time-consuming task of revamping the whole grid. Valent and his colleagues have created a FCL that has been on the market since 2013. However, it proved to be too large and expensive for renewable producers such as wind farms that feed into the distribution level of the grid. As part of an EU-supported project that ended last year, they combined the core technology used in their large-scale device with a power electronics system, to create a much smaller and lighter FCL suitable for renewable energy production. It is designed to be installed in the utility substations or at the power generation sites and mitigate excessive fault currents from the renewable source. Reducing the FCL’s size also helped lower its cost. This means that in the future, new energy sources should get approval to connect to the grid much faster. In the UK, one of the countries where the grid is outdated and needs a major upgrade, Valent and his colleagues are aware of hundreds of requests from renewable producers who want to link up. The use of superconductors – materials that conduct electricity without losing any energy – could also improve FCL technology. Conventional materials such as copper wire lose a portion of their energy as the charge passes through the metal. Superconductors don’t themselves allow energy to be lost in transmission, although operational superconductors consume energy through expensive cryogenic cooling systems. Super-conducting fault current limiters (SCFCLs) should be much more effective where high voltages are involved, combining low-power dissipation, high-sensitivity and a high-speed of operation. The biggest challenge is to make the superconductors work at higher temperatures – usually they have to be close to absolute zero to operate effectively. This means SCFCLs are too costly for widespread commercial use. Professor Pascal Tixador and his group from Institut Néel, one of the laboratories for French National Center for Scientific Research, and partners, are aiming to make SCFCLs more affordable and robust as part of the FASTGRID project to develop better power transmission. In order to bring down the cost of SCFCLs, the team is engineering better versions of the ReBCO (rare earth, barium, copper oxide) wires now used in their devices. They are pursuing the application of novel superconducting wires with a component of sapphire for use in SCFCLs. Recent breakthroughs have allowed thin layers to be produced from the mineral. When a superconductive coating is added, these wires have an outstanding ability to limit abnormal current and carry many times more current than their copper predecessors, properties that has been validated in the lab. The next step is to evaluate how they could be implemented in SCFCLs on an industrial scale and to find a way to make them cost-effective. The technology could be vital to plans to create a European supergrid and a single energy market. At the moment, each country has their own energy infrastructure and energy doesn’t flow freely across borders. But a new network to pool electricity that spans Europe and the surrounding region has been proposed. It should help with the adoption of renewables, where short blackouts are an issue. An area depending on energy from a wind farm, for example, could use energy produced elsewhere by solar in times of low wind. Developing a supergrid will require a new high voltage direct current (HVDC) grid system. Direct current is required to transport electricity over long distances instead of alternating current, which is more efficient in smaller networks. However, fault current can be more severe when direct current is used, making FCLs even more crucial. ‘FCLs can reduce the fault current that needs to be cut by a factor of 10,’ said Prof. Tixador. SCFCLs are the only viable solution to limit abnormal currents produced by high voltages, according to Prof. Tixador. 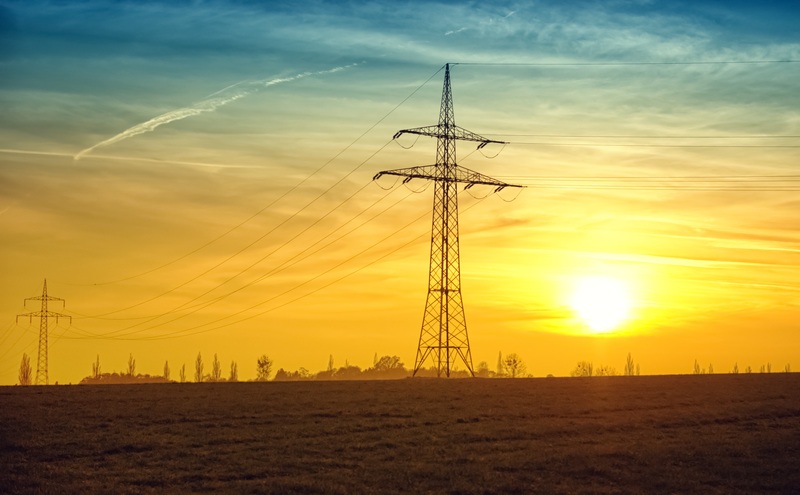 The goal of the EU-funded FASTGRID research is to provide high-voltage superconducting transmission lines that can be used in the next generation transmission network. SCFCLs, together with future energy storage systems, would be an important element in assuring the safety and reliability of the network.